Get ready for the beautiful summer months! Before all the fun begins, take time to go over this checklist to ensure safety inside and outside of your home. Always lock your doors! Research shows that crimes are more likely to happen in the summer. This makes complete sense, people take summer vacations and are out of the house more! Since kids are home from school in the summer, they are always home! Protect your children by adding window locks to the windows in their bedroom. Keep mosquitoes away! These nasty insects carry dangerous viruses and illnesses. Stay clear of them by making sure your window screens don’t have holes. When you’re on your deck, make sure you have candles that repel those bad boys away! Have any little pools of water around your yard? This is a potential place for mosquitoes to multiply. More mosquitoes equal more bites. Drain any little pools of water that you see to prevent this. Make sure your garage door sensors are working properly! You’ll be taking the bikes out of the garage and want to prevent from getting hit by the garage door. When you’re out and about, always keep your garage door locked as well. Like I said above, summer is the season for burglaries. Keep your home safe by locking all the doors. Organize your garage. Move the winter items to the back and bring the summer items to the front. By doing this you’ll easily be able to grab anything you need without having to climb over things and get hurt. The summer brings a lot of traffic through the garage. Make sure you have a clear path from the garage door to the door inside. Were you gardening for spring? You probably left some tools laying around. Check the yard and put any tools you left around back into the shed! Plan on grilling soon? 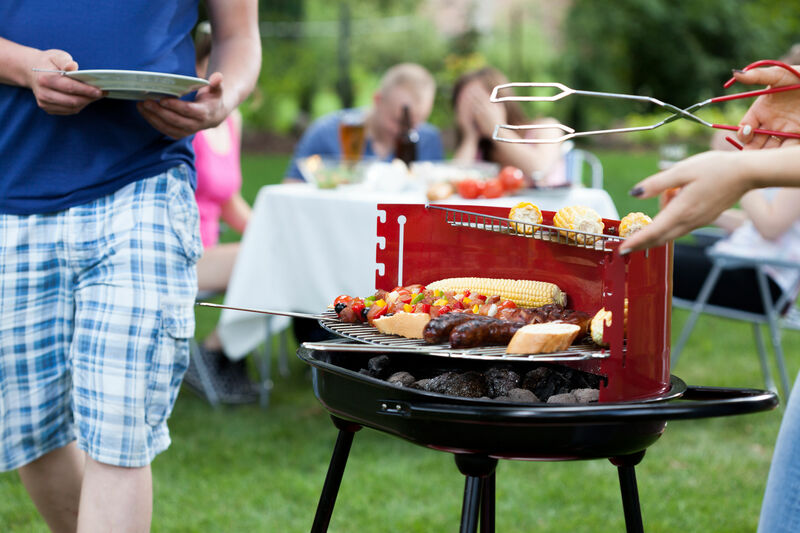 Check your grill for any hose leaks or blockages. Before your kids climb on the swing set in the back yard, test it out yourself! Make sure the swing set is working properly. Is there fence around your pool? If not, make it a priority to get one before you start having people over to enjoy it! Before letting anyone come around your pool, set some rules! No running and no diving are some great ones to start with! Make sure everyone who comes near your pool knows your safety rules. Plan on having s’mores cooking over a nice big bon fire? A fire pit safety screen is perfect to keep everyone safe while no one’s cooking over the fire! Have a wide open window well? Keep small children and pets safe by getting a window well cover. No accidental falling in can happen with a window well cover! Where is your grill located? Keep your BBQ machine at least 10 feet away from your house or anything else for that matter. If you have a fire pit and/or grill, stay safe by keeping a fire hydrant near you. Making your yard beautiful with plants and flowers is a wonderful thing! Before planting, research the best kind of flowers for your yard. Many plants can be poisonous! See any holes in your yard? Fill in these holes so that no one breaks an ankle in your backyard. Weed killers and pesticides are great, but don’t spray around children or animals. Keep yourself safe while spraying them by wearing protective clothes. After you check these all off the list, have a blast in your safe backyard!